After the Jesse van Ruller interview it is now time to highlight yet another great jazz guitarist from my country. 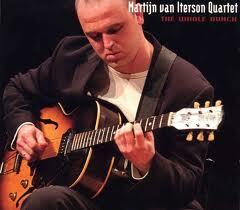 Like Jesse, I have followed Martijn van Iterson since somewhere in the mid nineties. They both studied with Wim Overgaauw and graduated from the Hilversum conservatory at the same time. Come to think of it, it is really amazing that both such enormous jazz guitar talents emerged roughly at the same time. Sure there are a number of fine Dutch jazz guitar players that have enriched the jazz scene since then but these two ... are still somethin' else. IMHO. Over the years I have met MVI several times and have seen him play often. Like Jesse, he is a world class guitarist. He has won several jazz prizes and is a prolific and talented composer as well. He has two excellent CDs out: "The Whole Bunch" and "Streetwise." The clip above features him in a church, playing a ballad. For earlier Blogs and more live vids of this great player click here and here. For a must-see compilation video of MVI solos go here. And now let's go to the interview. You picked up the guitar at 9 and were already playing jazz with fine musicians at a jazz café in Leiden at a young age. What made you decide to study jazz at a conservatory? Well, it wasn't like I clearly decided to become a musician. I just could not imagine myself doing anything else. At about age 17 I played together quite often with musicians who were already studying at a conservatory. Their stories about it encouraged me even more to try to become a professional musician. So I finished high school as soon as possible and went for it. Like Jesse, you studied with Wim Overgaauw. What would a typical lesson with Wim look like? We would just play a lot of jazz standards and dig really deep into them harmonically and melodically. Apart from all his musical knowledge, his dedication to being a jazzmusician inspired me a lot. I think half of all the lessons I’ve had with him we spent in a café around the corner just talking about music and his experiences while having a coffee. Do you remember certain practice routines that you stuck to when you were studying? No. I’ve never practiced according to any schedule. I always just picked up my guitar and after I was warmed up, I started playing anything. If I would meet a limitation while playing, I tried to improve myself on that. But I never forgot to just have fun practising. What guitar players besides Wim do you consider a main influence when you were a student? At that time Metheny and Scofield were the most influential ones. But over the years I’ve been inspired by all the good ones. I’ve been into Jim Hall, Wes Montgomery, Joe Pass, Pat Martino, George Benson and many more for longer or shorter periods. How did you develop your single note playing? Mainly by listening to “single note” instruments like saxophone or trumpet a lot. I checked out all the good ones again. Coltrane, Getz, George Coleman , Ferdinand Povel , Woody Shaw, Tom Harrell and many more. And how did you develop your chordal playing? 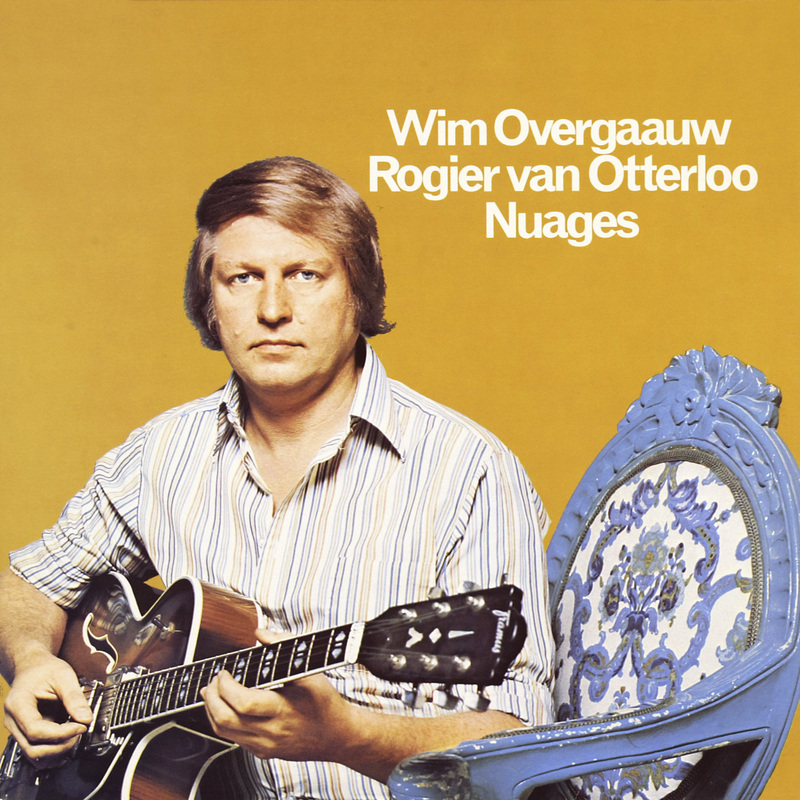 Wim Overgaauw was very good at playing chord melody arrangements. That also has been a main subject during his lessons. And also by listening to harmonic piano players like Bill Evans or Herbie Hancock for instance. I checked out the substitute changes they used. I remember I tried to translate piano voicings into guitar voicings. I remember reading somewhere that you have been working hard on your trio playing over the last years and that it has taken you some time to feel confident in that format. How did you work on this? I have practiced chordal improvisation quite a lot lately. It’s different from a prepared chord melody. Before that I was focused more on single note improvisation. It took me a while to integrate chordal improvisations into my playing in such a way that I was more or less satisfied about them. I really searched for the right balance between those two and tried to make the transition from one into the other sound as natural as possible. But I’ll always be frustrated about the fact that I can’t comp myself like a piano player can. You have a really strong and articulate time feel. Was it there to start with or did you develop it over the years? I’ve been asked that many times. I guess for the main part I was just born with it. And after that it was a matter of getting out technically what was already present in my ears. Singing drums or “human beatboxing” helped me too. Do you pick all notes or do you play legato? I try to make the legato sound as if I pick all the notes. Do you still have time to practice these days? Not as much as I used to. But luckily there still is some. Mostly at nights when there are no other distractions. Most of us know how you got the Gibson ES 125 from Wim. It seems to be your main instrument. Did you never feel the urge to try out other archtops? I’m always interested in other guitars and have tried a lot of them over the years. From students, at vintage stores, from custom builders etc. But I simply haven’t played one yet that could replace mine. Also lately I find it harder to switch to one of my other guitars because it takes me longer to get used to it. The 125 has become like a body extension to me. As soon as I pick it up it feels comfortable, like driving your own car can be. What exactly is it that makes you so fond of this guitar? Because it still inspires me so much. It sounds great both acoustically and amplified. The P90 single coil pickup is still one of the best according to me. It is a very stable instrument too, not bothered by weather conditions. There are hardly any weak spots throughout the neck. It is easy to play. I like the size, scale and shape of it too. And last but not least, it really returns the energy I put into it while playing it, in a way I didn’t feel on another guitar yet. 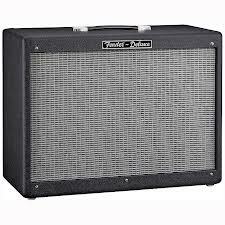 Still using the Fender Hotrod amp? Yes, I’m using a Fender Hotrod Deville "2x12”. It's suitable for most occasions. It’s not too heavy to carry to gigs. Sounds warm. I like the “plug and play” principle. I try to not to be bothered by the amp I’m playing on or by the room acoustics. You often play acoustic jazz. Is that your favourite style? Jazz is my favourite style! I mean, as long as there’s enough space for improvisation I’m okay with it. So the instrumentation or style is not that important to me. I just happen to play in acoustic settings the most lately. 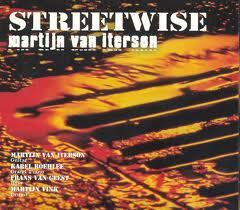 “The Whole Bunch” and “Streetwise” are excellent albums. When is the next album coming out? Thanks for the compliment! I’m planning to release a new quartet album this year. By now I have enough material again for a new one. I’ve had to deal with some major personal life events over the past few years which kept me away from doing my own stuff . Currently I’m also recording a duet album with a singer in our spare time. We’re trying to have it released this year too. I often get the question from American players what is in the water here that produces such great jazz guitarists as Jesse van Ruller, Maarten van der Grinten and yourself. So what IS in the water here? Is it Wim’s heritage? Holland is worldwide known for its water management so that must be it! Apart from Wim’s major contribution to our development I think jazz education in general here in Holland is at a very high level. Thanks to all the first generation Dutch jazz musicians who founded the jazz departments at the conservatories in the late seventies. Do you keep in touch with the jazz scene in the USA? Not really, I visit NYC once every decade for fun and inspiration. Altough I’d like to visit it more often. But I’ve met and played with quite a lot of American cats here in Holland. Of course I would dig that. But that’s going to be very expensive! Thanks for the interview Martijn! This afternoon I visited Charlee guitars in Panningen with a friend to try out the ZT amps and to play some vintage guitars. It was well worth the trip. Ley van den Beuken, the owner, probably has one of the biggest vintage collections in the country. Stores that sell vintage guitars are rare in the Netherlands to begin with and to actually find one with a real nice collection is even rarer. Amazing to find what is probably the biggest vintage collection in the Netherlands just over 30 car minutes from my home! And here I am strumming an extremely rare guitar, a 1926 Gibson L5 master model. Now for some more eye candy. I played some very old and some very expensive guitars so prepare to drool! 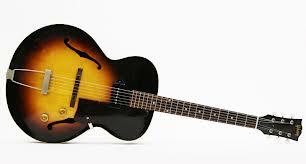 The 1964 Gibson Tal Farlow was outstanding. I had taken my Tal Farlow reissue to compare and I must admit that I was not disappointed in my Tal at all. The pick ups in the original Tal sound a bit different though, a bit less dark. Thanks Ley for the info and stories and Aad for taking pics and filming. I have followed my countryman Jesse van Ruller since the mid 90s. Without a doubt he is one of the finest jazz guitarists in the world. There is not much reading matter on him though. So high time for an interview. There is plenty of JVR video material available on the Tube, but for the occasion I edited a recent upload that shows him playing a few jazz standards, which is pretty rare these days. In the clip above he is playing a Gibson ES 150. It was recorded in 2010. It's a compilation. I know you started playing classical guitar when you were 8 years old and that you were playing rock and blues music on an electric guitar in your teenage years. Were you already playing jazz too when you entered the Hilversum conservatory? Yes, I started taking lessons from a local teacher that studied with Wim Overgaauw himself two years before I started my studies at the conservatory. I learned to play on changes, did some ear training and studied some theory. You studied with Wim Overgaauw. In what areas do you think is his influence on your playing most strongly felt? His clear harmonic approach, chord knowledge and fluency. Also he had a bright sound, very atypical for jazz guitar. He had a strong attack that I took over from him even though later I tried to have a softer, more dynamic way of playing. Can you tell us something about your practice routine when you were studying at the Conservatory? I don't remember having a routine. I haven't been very structured in practising. I used a cassette player to record many choruses of comping and played over it. I remember practicing Coltrane changes for many many hours. Also some technical exercises and jamming with other guitarists. 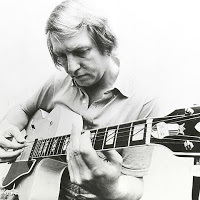 Did the lessons that you took from Wim mostly consist of investigating the kind of topics covered in the book “European Jazz Guitar” or were they something else entirely? It was mostly playing together, taking turns soloing and comping, trading choruses. Implying the right harmony was the most important thing in soloing. Also he had made many chord melody arrangements of standards, some of them are in his book. We played those too in the lessons. He made me play them fluently. What guitarists besides Wim have had an influence on your playing? Scofield has been the guitarist that I've always listened to and has never bored me. I've had times that I listened to and studied Pat Martino, Benson, Peter Bernstein, Mike Stern, Metheny and Jim Hall. Did you study transcribed solos as a student? I've never used any books while studying. 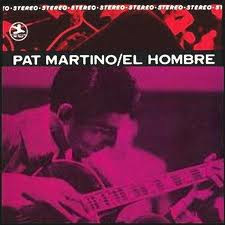 Also didn't transcribe much myself, actually just one solo: Pat Martino's solo on Just Friends on El Hombre. I've been obsessed with that solo for some time when I went to school. I never felt a lack of ideas or material so I didn't feel the need to transcribe. I did copy a lot from other players, but not note for note. Any other jazz instrumentalists that have made an impression? I've listened to everybody, just like any young jazz student. I love the jazz tradition, but also love a lot of 50's 60's and 70's pop music and blues. I pretty much love the guitar and its role in modern music. 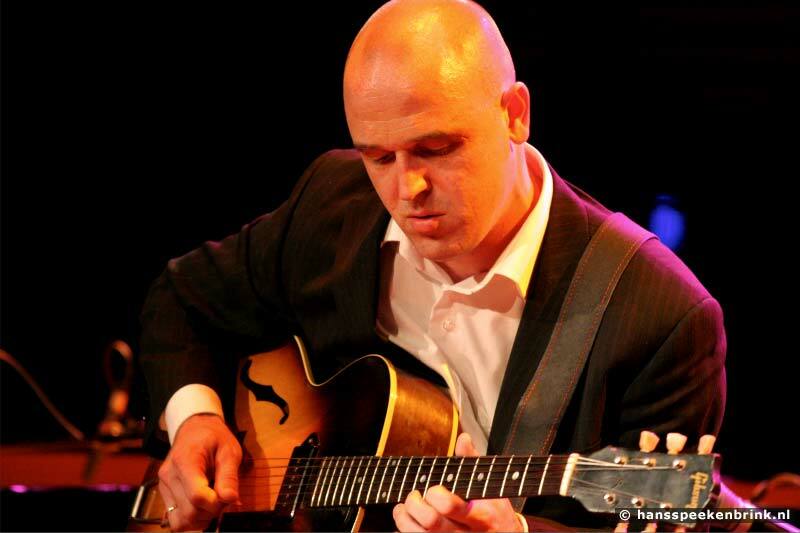 With successful players such as Martijn van Iterson, Maarten van der Grinten and yourself, Wim’s teaching activities seem to have placed Dutch jazz guitar on the map. 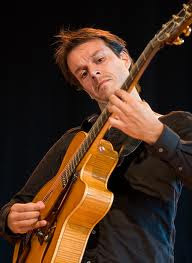 Is there such a thing as a “European jazz guitar” or even “Dutch jazz guitar” school with Wim as fouding father in your opinion? I like to think there is. I have some students that I'm very proud of and to whom I really feel I passed on some of Wim's 'things'. 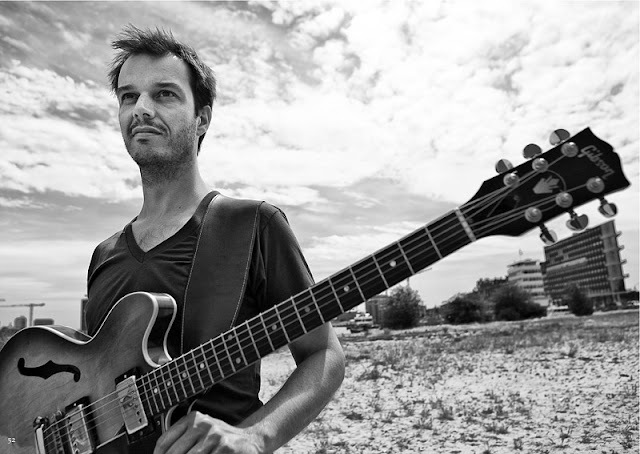 You should check out Reinier Baas, he has two albums out and he has some of Wim's essence in his playing although he never met him. Next to your teaching activities at the Amsterdam Conservatory you keep up a busy gigging schedule. Do you still have time to study? If so, what are you focusing on currently? Not so much, unfortunately. I have been practicing the lap steel for the last year or so. Mostly I practice the music I get to play with the bands I'm in. It's a lot of original music, I hardly play standards anymore. Yes, I like to have an anchor there so I can make a bigger movement picking, and not get lost for the next note. That way the attack is faster and takes less time, as a result it sounds more fluent. Do you play legato or do you pick every note? I play legato too, and sweep. What do you recommend your students for improving their time feel? Listen to James Brown and feel it! You often pick with your fingers. Why is that? It's a natural thing on the guitar. Playing chords with a pick sounds harsh sometimes, the alternative is to strum with your thumb or pick all notes together with the fingers. Your early albums showcase a virtuoso contemporary bop player. These days your musical perspective seems to be much wider and much more modern. I remember somebody calling you a guitar poet rather than a guitar player these days. Is this description something you recognize? It's a great compliment. I have to try new things in order to keep having fun. Development is essential. Over the years I have seen you play your Levin guitar through a Marble amp, than an Elferink signature model, a Fender Telecaster, a Gibson ES 150 (full bodied ES 335) and last year I saw you with an ES 335. So what’s the gear story? After my Levin passed on, I started a quest that hasn't ended yet. I don't think it ever will because it's a lot of fun. I love buying guitars, especially vintage ones and I am no longer looking for that perfect guitar but like to bring different ones for different occasions. Do you still keep in touch with the American jazz scene? Not really, I haven't been to NY in years. It's really hard to create playing opportunities in the US when you are not there. If I had that ambition I should move there and work on it for a long time. I don't see myself doing that anymore, being a father and having a life here. Any future plans the jazz guitar world should know about? I have so many plans for new recordings, but it's getting harder and harder to break even on a CD. The last cd I made I recorded myself in a nice sounding space. That's a concept I'd like to try out some more. It's not easy to find a quiet nice sounding space though. The last CD is without drums and we used a church. That worked out very well. But for a drummer, the church is not ideal so I'm still looking for that ideal place.